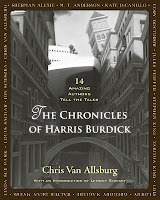 After The Mysteries of Harris Burdick poked and prodded the imaginations of countless readers over the years, now comes The Chronicles of Harris Burdick. Fourteen award winning authors were invited to create their own stories based on the original images. 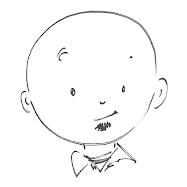 (Or, if you take Lemony Snicket’s introduction to heart, each author has now come forward with one of Mr. Burdick’s original stories, placed in their care for various reasons. This theory, however, has been denied, dismissed, or avoided by all of the included authors.) Each image is reprinted at the beginning of its corresponding story, and each story is as imaginative and mysterious and adventurous and horrifying as the personal stories created by readers over the past twenty-seven years. Except for one thing. These stories, while incredible and wonderfully written, are personal only to their authors. Each story comes from one author’s imagination, not from the imagination of the readers. This reader was let down by the stories, not by the stories themselves, but by the fact that they didn’t match my stories. Also, I always imagined Harris Burdick’s pictures and captions to be from carefully worded picture books, not longer works of fiction. I pictured fourteen books for the fourteen images, with each page of each book dominated by another incredible Burdick image and similarly carrying a one or two line caption to advance the narrative. In my mind when the mysteries Harris Burdick were eventually solved and released to the public, they would include picture upon picture, not paragraph upon paragraph. Now that I’ve got my personal feelings out there, let me be fair. 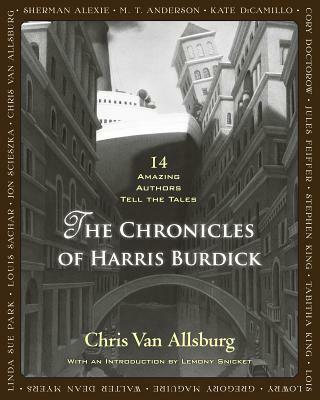 The Chronicles of Harris Burdick is a wonderful collection of stories based on equally wonderful images. These short stories have the potential to inspire more stories from readers - additional chapters and sequels and more detailed accounts of what’s Under the Rug or who else must play The Harp or what happened to all of The Seven Chairs. But beside all that, readers of the original book who have wondered and imagined for all these years will certainly want to read how other readers imagined these stories. Sure, they are all award winning authors, but they were all readers and wonderers first. Just like us.